How to travel to Japan with only USD1,000 including flightfare? 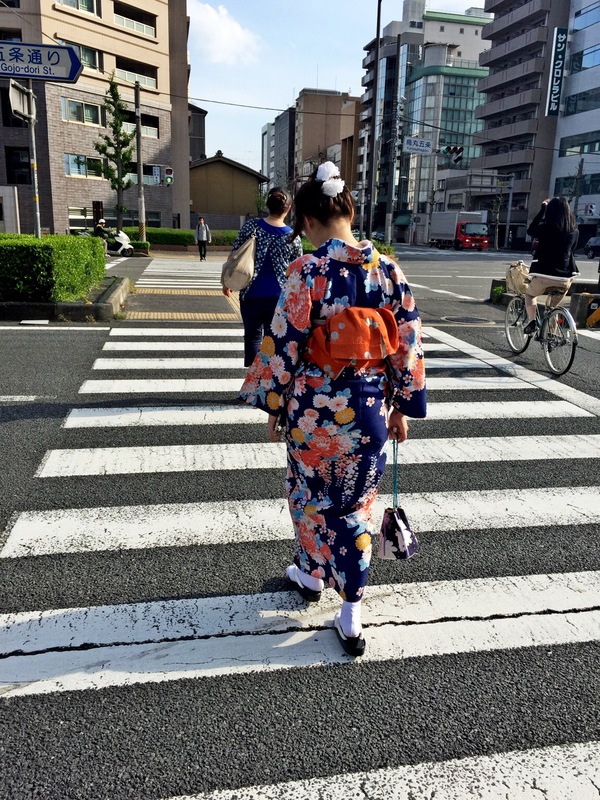 Japan is considered as one of the highest living cost’s countries in the world, and because of that, many would not dream of travelling to Japan because they thought they could not afford it. The cheapest tour travel in Jakarta to Japan cost approximately around USD 1,700 and what’s worst is you would only be given 4-5 days in Japan. Who would spend this much for only a couple of days in the land of rising sun? Therefore, in this blog, I will teach you how to spend only USD 1,000 to Japan and might be even least than that. If you are on a budget, I could be pretty sure you might not have much fund liquid in your bank account, and by only this, you would definitely have a very slight chance for your visa to be approved. So the deal now is to have yourself an E-Passport, then apply Visa Waiver Japan. E-Passport is more expensive than the common one, it costs Rp655.000 or USD50. However, Visa Waiver Japan is free if you apply it youself. You don’t need to submit complicated documents and paperwork anymore, you will just need a valid E-Passport and complete the form. The Visa Waiver Japan will be valid for 3 years and 15 days permit each visit. On the other hand, Visa would cost you around Rp 500.000, and need a bunch of documents and bank account information which definitely will become a boomerang for you instead, so why not try this one? Yes budget airline might be a good option for you, but if your budget are not that tight and you want a more comfortable flight, then you can try search for a cheap flight from Garuda Indonesia. Usually in Garuda Fair, you could get a roundtrip ticket to Japan for only USD 599! However, Airasia is still the cheapest way to fly to Japan, it cost only around USD 400 for a roundtrip fare. I advice you to fly to Tokyo, and leave from Osaka. Now, our budget is USD 550 left, you could stay in one of Airbnb’s, which would only cost you USD 20 per night. I recommend you to stay in the city, such as Shinjuku or Harajuku in Tokyo, Gion in Kyoto, Dotonbori-Namba in Osaka. Search for the one that have the closest access to Metro. The more the positive reviews, the better the room is. If you stay for a week, you will spend around USD 140. Click here to transfer to Airbnb website. Food in Japan is affordable, if you have them in high end restaurant then it will cost you to hundred bucks, but if you have your meal in ordinary restaurants, it costs you not more than USD 5 each meal. You should search for restaurant that uses meals ordering machine, as usually they are cheaper. I mostly ordered udon with beef slice sold in most station for around 600 yen. Foods in 7-11 or Family Mart are cheap as well, but Fresh food from restaurant are better. Three times daily for a week cost USD 105. Now we have used USD 695. Okay, next challenge is the transportation. One day used metro ticket costs us 1000 yen everyday which means 7000 yen, train from airport to city and city to airport cost us 2000 yen, we will be needing 9000 yen. Train fare tokyo to osaka and kyoto would cost us 20.000 yen in total, which means we have to pay USD 300. I recommend you to buy a 7 day JR Pass so you can explore the whole Japan as many times as you could. Yes, USD 995 has been spent, and these are budget to travel to Tokyo, Osaka, Kyoto and sidetrip to Nara if you would like to. You can also travel to see Mount Fuji by paying just a little more, which is around USD50 for the Fuji Railway train that is not included in JR Pass. You could look through my Japan Page for more information about the travel also the JR Pass details. If you want to travel only in Tokyo, then you will save the USD300 for transportation. Do not buy 7 Day JR Pass but Kanto Pass instead if you only stay in Tokyo, which cost least than USD100 for the pass. If you want to buy gifts to friends, buy them in airports, all airports sell Tokyo Banana fyi. You will get the same tokyo banana with more expiration date. Also No Admission is needed to enter shrines and temples, you would only need to pay admission if you wish to enter theme parks. If you travel more than 4 persons, want to travel Osaka and Kyoto from Tokyo, tight budget, you should try and search Seishun 18 Kippu instead of JR Pass, click here for Seishun 18 Kippu details. So, have you decided to travel to Japan this Winter?